Today we are launching our Speaking to Media blog series, where we are delving a bit deeper into the media landscape to hear informed perspectives from the talented journalists and writers we follow every day. First on the docket is Suzie Michael, an intelligent, super cool, fresh-faced Beauty Editor at FASHION magazine – she’s showing us what talent and hard work looks like. 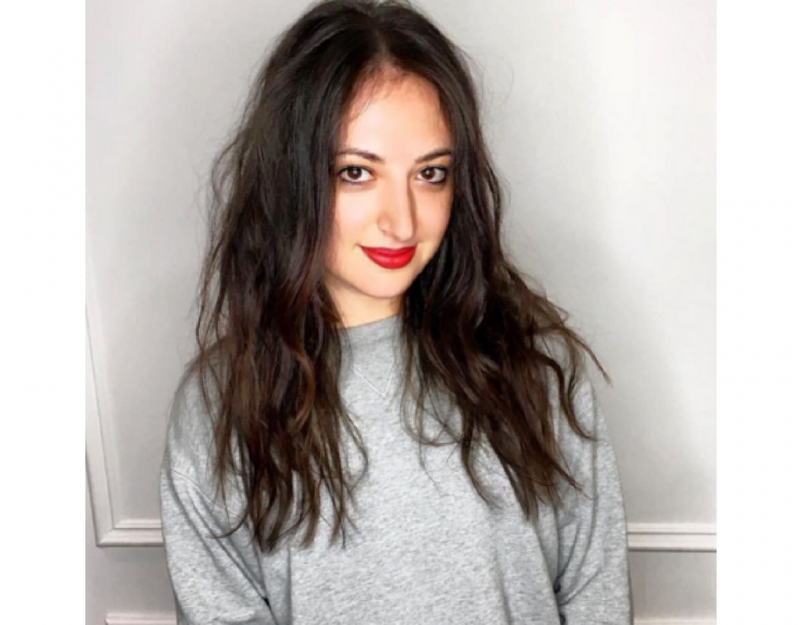 We wanted to hear about her career path, but most importantly gain insight from her thoughts on how the beauty industry is changing and how it is impacting lifestyle media. For all beauty junkies, PR professionals and aspiring writers, this one is for you. What path did you take to secure your position as Beauty Editor at FASHION magazine? Did you always want to work in the beauty industry? I always knew I wanted to write (like, literally always; since I could hold a pencil) but I wasn’t always sure what kind of writing I was into. I come from a very math and science-focused family, but my dad was a writer (although he wrote about economics so still quite different) so I think I got it from him. I heard about York University’s Professional Writing program, which seemed to offer a bit of everything, so I went with that. The first two years were super exciting and varied, but also intense—kind of like writing bootcamp. It involved everything from three and four-hour long grammar classes (can you imagine? ), the history of syntax, poetry, everything. While I was doing that, I was freelancing for a variety of different tiny, unknown sites to figure out what I liked—I was doing album reviews, beauty and fashion writing, and even some home decor. Then, third year came along and it was time to declare my stream. By then I’d decided on magazines and newspapers, so I went into that, where we learned about fact-checking, copy-editing, how to write a listicle versus a long feature, etc. The summer before third year, I’d gotten a position with the Toronto Star and was writing the Shop It column, where I’d profile a different Toronto boutique each week. 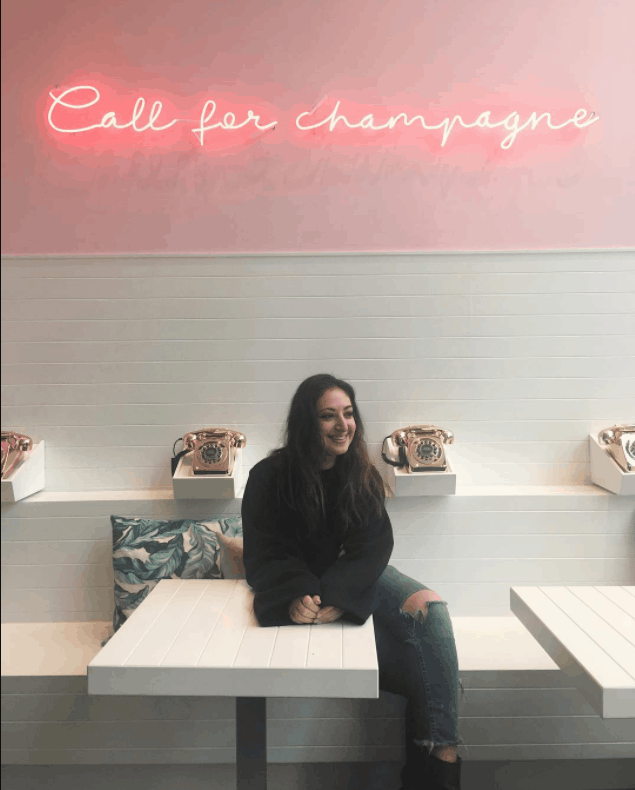 The following summer, I got an internship at Chatelaine, in the beauty department, and after my first day, I knew I wanted to stay in beauty forever. I stayed there for eight months and got to regularly contribute to the print magazine, which was an amazing opportunity, considering I was a 19-year-old intern. After graduation, I freelanced a bit here and there for a few months, before stumbling upon a job posting that intrigued me—Food Network Canada was looking for a digital editor. I applied on a whim, not because I was (or am) a huge foodie, but because I lived for watching Food Network Canada. (Hello, have you ever seen the magic that is Barefoot Contessa?) I got the job and stayed there for two years. The staff was incredible and I had so much freedom to write what I wanted. However, beauty was still where my heart was, so not only was I starting to write some insane articles where I’d try to bring beauty into the food world (“10 Foods That Should Be Perfumes”), but on evenings and weekends, I was doing a lot of freelance beauty writing, for sites like slice.ca and xojane. After a few months of working around the clock and basically not sleeping, I decided I needed to make beauty my full-time job. Once I made that decision, honestly, the stars just sort of aligned. I happened to see a job posting for an opening at FASHION. I didn’t know anyone or have any sort of in. I applied for the job (which was for the Associate Digital Editor position), got it, and stayed in that role for two years before we integrated our print and digital teams in 2016. When that happened, my title changed to Associate Beauty Editor, and I began contributing to the print mag as well while overseeing all of the digital beauty content. At the end of last year, I was promoted to Beauty Editor, and today my job involves approximately three million different tasks, which is something I’m so grateful for. I learn something new every day and have literally never been bored in the four years I’ve been here, which I recognize is not something a lot of people can say and I try not to take that for granted. What is it about covering the beauty industry that makes you tick? Like I mentioned above, pretty much everyone in my family studied and works in science or math, so I was always taught to really respect scientific evidence, think critically about information that may not be presented accurately (for example, people don’t realize that the language around statistics is, in a way, meant to be misleading), and generally take anecdotal information with a grain of salt (which seems obvious but you’d be surprised). So many of my issues with the beauty industry at the moment are, unfortunately, with the green beauty business. For instance, I can’t stand seeing words being used loosely and carelessly (everyone please look up the definition of the words “chemicals” and “toxins”) or entire concepts being dramatically exaggerated (what goes on your skin, does not, in fact, get sucked directly into your bloodstream). I don’t have anything against “clean” beauty products at all—I use plenty of them! I just wish there wasn’t so much fear-mongering happening in the industry right now. I find it irresponsible. It’s often a cheap marketing tactic, and it can be disheartening to see. What beauty trends are you anticipating this year? Which ones are you happy to see fade away? This isn’t a trend but rather a direction the industry is finally going in: diversity. If you are a brand that isn’t catering to, listening to, and hiring people of all skin tones, you will (and should) fade into oblivion. I think that answers both questions. Take more breaks. We live in a society that basically glamorizes burnout, and I wish I hadn’t blindly bought into that narrative for so long. Recharging is a necessary part of producing great work, and I think that becomes easy to forget or ignore when everyone on Instagram seems to be working on some “secret project that will be announced soon.” Obviously, work hard and be grateful, but the world won’t end if you take a mf vacation. Do you have any examples of how to not pitch a story? What advice do you have for those pitching stories to beauty editors? My biggest pet peeve is when a writer pitches me a story that already exists on our site or that we’ve covered in the magazine before. (And before you say maybe they missed that issue: all of our print stories end up on the site eventually.) I totally get the excitement of coming up with a story idea that you think is great, that you just can’t wait to pitch, but trust me, it’s always worth doing a quick search. It saves us both time…and an awkward email exchange. Do you recommend incorporating social-media storytelling ideas into their pitches? Totally! While brands have a pretty distinct social media voice/presence already that can sometimes be hard to penetrate, I do love getting ideas and suggestions from writers about interesting ways to package their piece on social media. It’s all part of the story-telling process, and I always want to know how I can make that a fully cohesive experience for readers. What are your thoughts on beauty influencers and their impact? What do you think the future has in store for them? I wrote a story last fall in the mag about what I think is the next generation of beauty bloggers. The ones I featured in this piece are skincare-focused, but beauty bloggers who do a ton of thorough research exist in all categories, obviously. I really do think they’re the future of influencers, because their content is transparent, unique and relatable, which is where the entire industry is headed. It makes sense that readers want more of that in all aspects of the media they consume.